Squeeee! 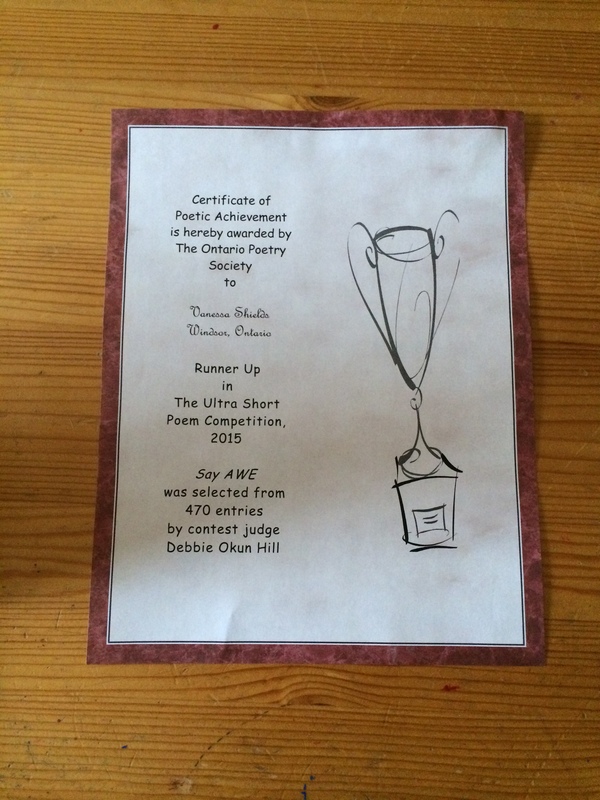 My poem ‘Say AWE’ has won a Runner-Up Award in The Ontario Poetry Society’s ‘Ultra-Short Poetry’ competition! What a wonderful gift! Thank you TOPS family and judge Debbie Okun Hill! Congratulations to all the other poets who will be in the anthology! Previous Post Mouth Piece – Home for the Holidaze! Tuesday, December 29!